Raze is back and better than ever in Raze 4! Packed with even more excitement, more levels, more achievements, and more customization options, you’re sure to spend hours of fun playing! Shoot down enemies to win loads of gold! What are you waiting for? Play it now! 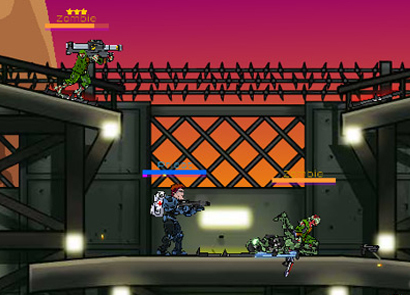 Similar to previous versions, Raze 4 includes a Humans mode and an Aliens mode. 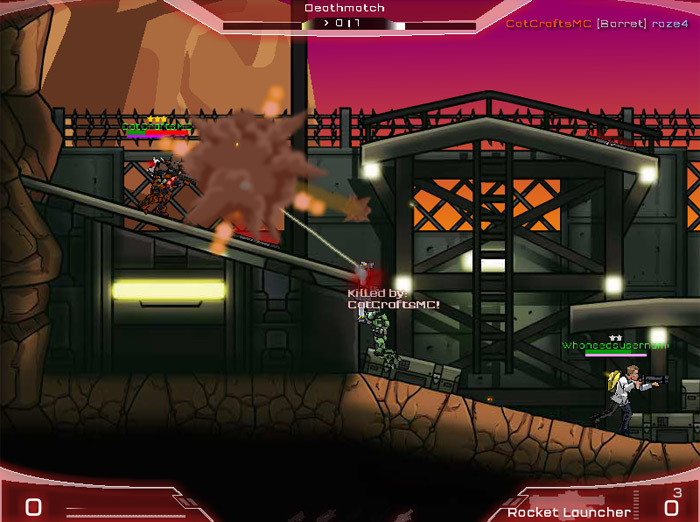 However, Raze 4 includes a brand new mode – Zombies! Fight your way through the Humans and Aliens mode to unlock the Zombies mode. 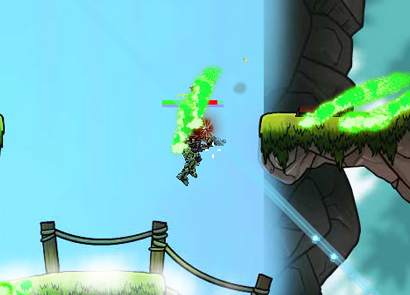 Kill off all the enemies to complete achievements and earn tons of gold. Use the gold to upgrade your weapons, purchase new gear, and unlock new abilities in the shop. In Raze 4, the key controls are similar to previous versions. You can use either the A, S, D, and W keys or the arrow buttons to move your character around the map. 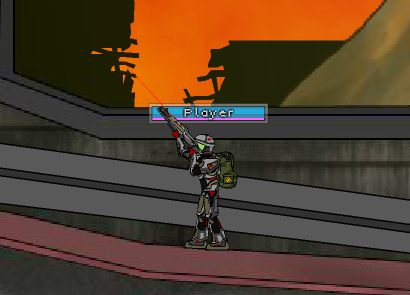 Use the mouse to aim and shoot your weapon. Press the spacebar to make your character jump. Toggle through your weapons by pressing either the Q and E keys, the enter and shift keys, the numbers 1 through 0 on your keyboard, or by using the mouse wheel. To pause the game, simply press the P button. 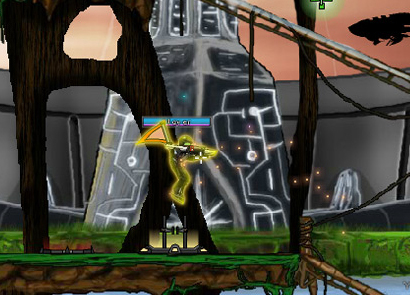 Raze 4 includes many more levels than its previous versions. In the Humans campaign, there are over 20 levels for you to complete. Each level includes four difficulty modes – very easy, easy, hard, and nightmare. The first 10 levels in the Humans campaign are considered the tutorial levels. 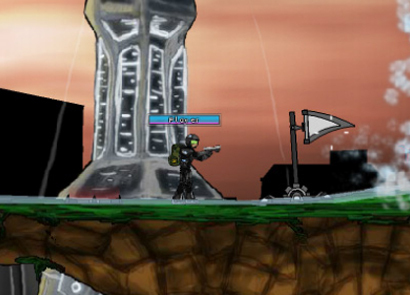 In these levels you’ll learn the basic concept of the game as well as how to use your weapons and a few abilities. Once you’ve completed all of the levels in the Humans campaign on at least the very easy difficulty mode, you can unlock the Aliens mode. 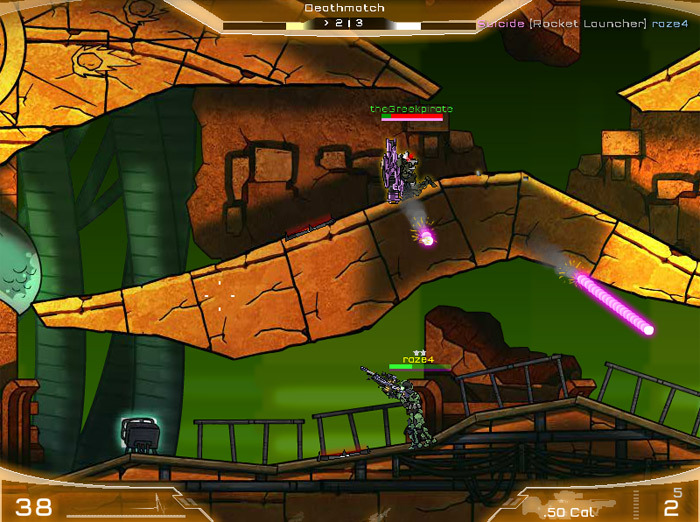 This mode features over 15 different levels, and also includes four difficulty modes. When you’ve completed the Aliens campaign on at least the hard difficulty, you can then unlock and progress to the Zombies mode. In the Zombies mode, you’re face to face with large hoards of zombies. Kill them all to complete the game! 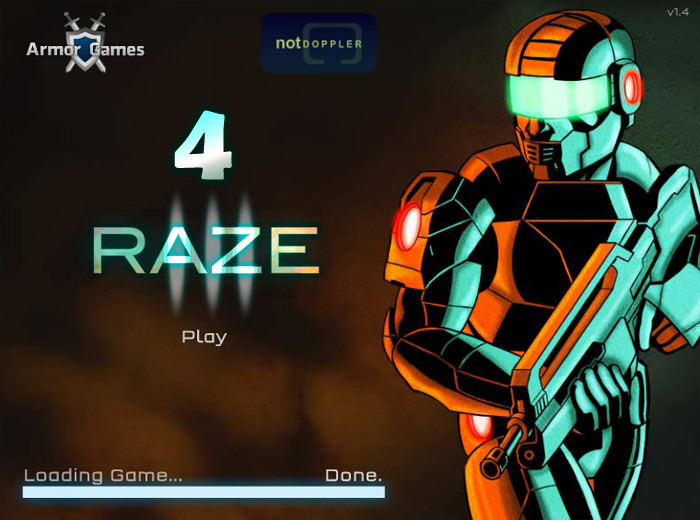 After completing the game, you can try and play the Raze series Hacked such as Raze 2 and Raze 3, part of the Not Doppler Games series. As you play the game, you will begin to unlock achievements. There are 30 achievements that you can obtain while playing. Some are incredibly easy to achieve, while others are significantly harder. For instance, one achievement is to simply complete the tutorial mode, while another is to complete the Zombies campaign on the hardest difficulty. Playing the game is the only way to earn in-game gold. The more enemies you kill, the more money you will make! Use the money you earn from each level to purchase new weapons, better armor, and powerful ability skills in the game shop. You can also purchase new outfits for your character to customize his look even more!